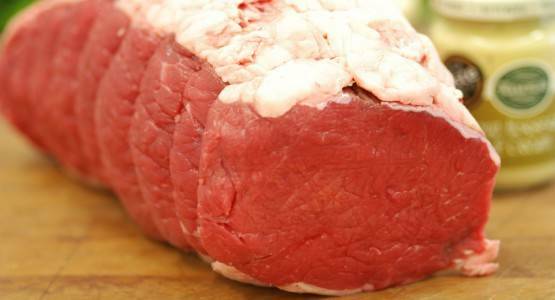 The Catering Butcher - supplying restaurants, pubs, hotels and venues in the Midlands. Since 1926, H.H.Jackson Ltd have been professional meat suppliers in the Midlands, serving the public through our retail premises. In 1999, we made the decision to begin supplying the catering and hospitality industry as ‘The Catering Butcher’. This has allowed us to deliver the same level of quality our customers have come to expect from us as meat suppliers, to pubs, clubs, hotels, restaurants, and more. We offer a high quality product, and pride ourselves on backing it up with an outstanding customer service experience. Here at The Catering Butcher, we're passionate about our role as meat suppliers, and delivering the best products and service to our customers. We are one of the largest and most successful independent family owned and run meat suppliers in the Midlands. We have extensive experience as a specialist meat supplier for hotels, restaurants, pub chains, conferencing venues, catering companies and the education sector. Through a continued policy of investment our company operates with many of the industries’ leading processing, packaging and order processing systems that have increased efficiency and operational practice which in turn benefit our customers. We work with you to understand your business, discuss our product ranges and cuts, and provide you with valuable knowledge and expert butchery, delivered when you need it. Each week we supply to over 300 of the choicest pubs, restaurants, and caterers in the Midlands, Manchester, Staffordshire, Shropshire, Cheshire, and Derbyshire... We are now even one of the leading catering meat suppliers in Lichfield! So our services really do get around to many events. Our extensive range includes a selection of premium brand products. These include Black Angus and Red Hereford Beef, Mackenzie’s Yorkshire Smokehouse, and Gressingham Duck. The company continues to be family owned and operated, now by the fourth generation, David Jackson has worked in the business since his earliest memories, always helping out his dad (Arthur) in the shop at weekends and through his school holidays. The continued progression and improvement of the company are our passion; we believe that this can only be achieved by excelling in the meat suppliers service we provide, and offering a high quality product that exceeds all of our customers’ expectations. We pride ourselves on supplying you; the caterer with only the best quality products, sourcing a full range of quality products from some of the best producers in the industry. Since weve have branched out from Longton and are now a leading catering meat suppliers in Lichfield, Manchester, Cheshire, and Wolverhampton – we focus on exceptional levels of customer service to led us to the development and approval of our new EEC cutting plant and during 2012 have achieved the SALSA accreditation! We operate from a modern EEC licensed cutting plant which is regularly audited by the Food Standards Agency and we use full HACCP and traceability technology. We are also members of AIMS (Association of Independent Meat Suppliers) which helps us in providing good and consistent products.